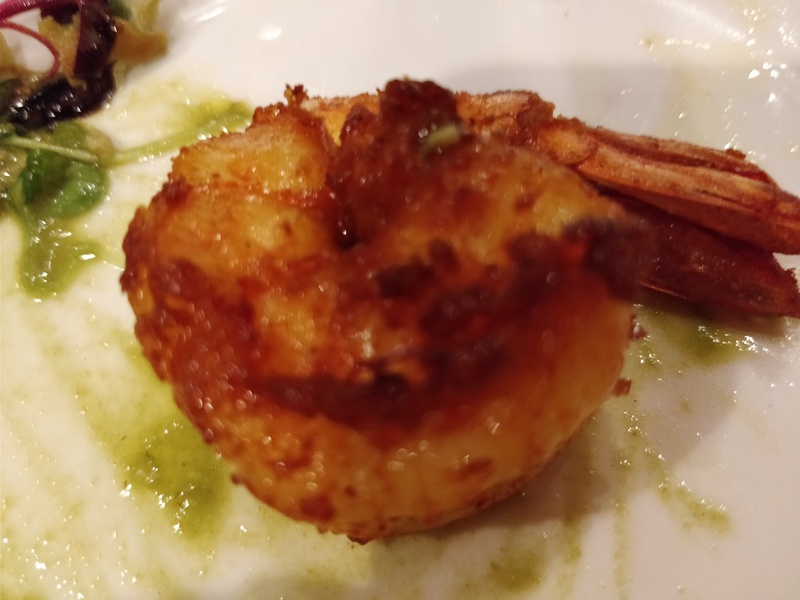 J. Hind at GRT, Chennai took us through the gastronomical journey with their degustation menu. The menu is planned to perfection with the finest of details that have been taken care off. To start with the ambience is colourful and bright, just the way I like it. I am not a big fan of dim light. The service is par excellence and polite. Gear up- Amuse Bouche.The welcome drink with two sides were cool and funky. 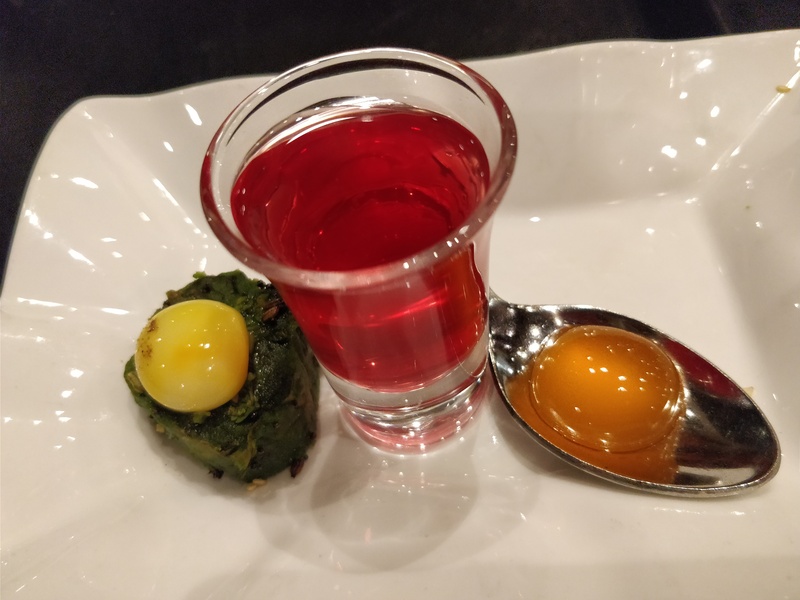 The Kumkum shot and honey yoghurt Batra with brids eyes chilli caviar. Two varieties of soup, sipped a little of veg soup from my friend. 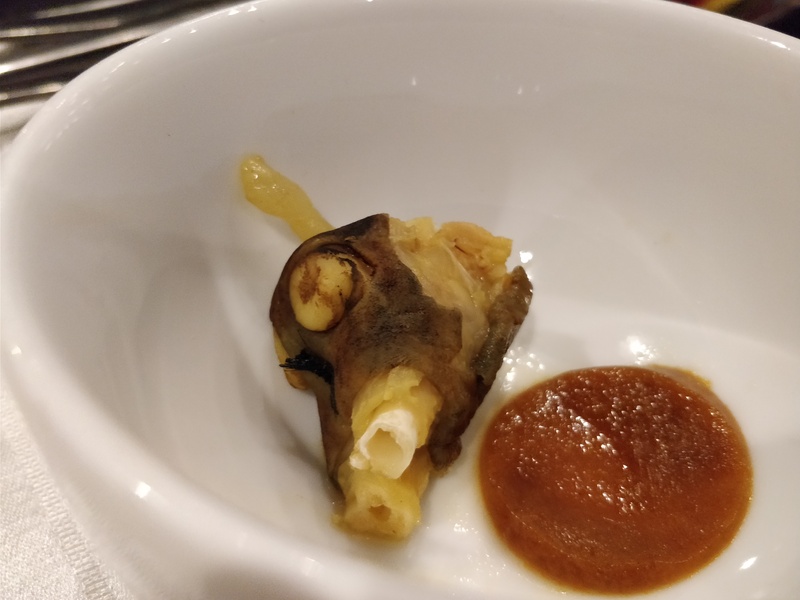 The non-veg soup, 21 spice attukal jelly soup was presented well and the taste was mildly pungent. 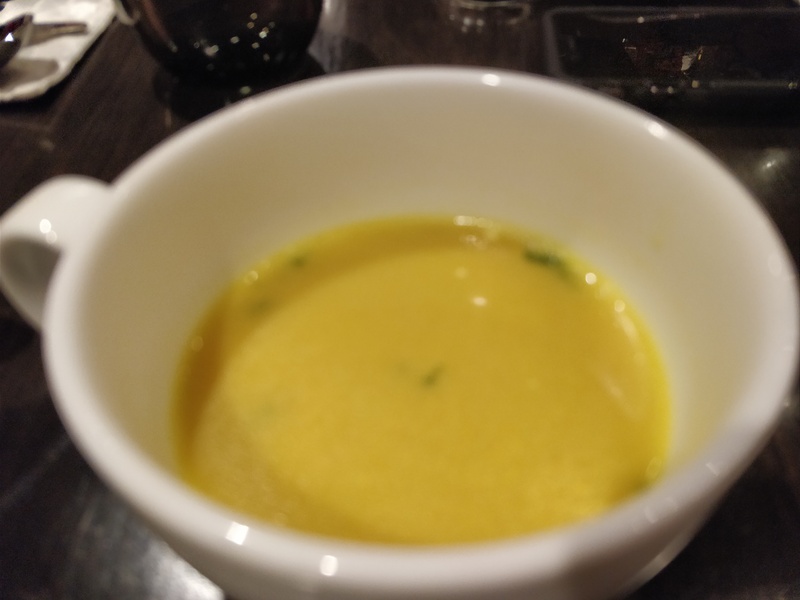 The trunk road kaddu dhania soup ( pumpkin and corriander soup) had the original sweet flavour of the yellow pumpkin. 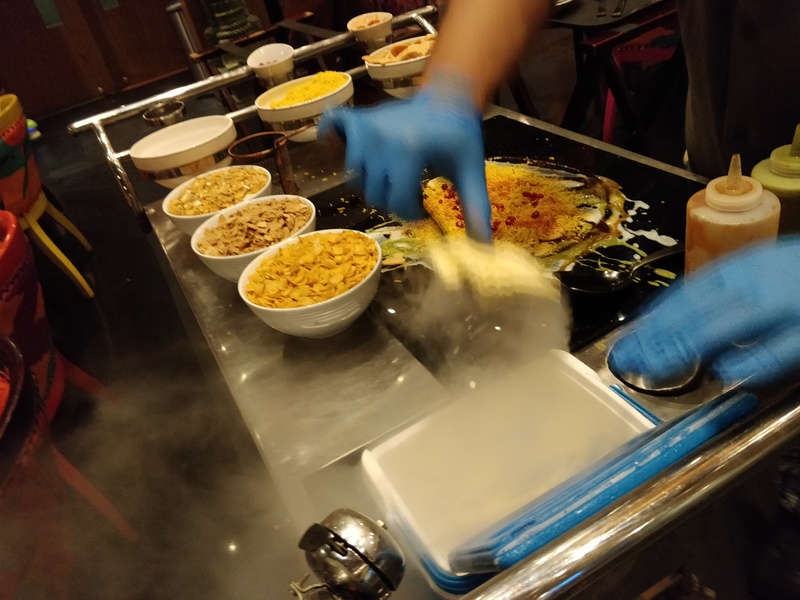 The millet chat needs a mention, it was made on a live movable cart with liquid nitrogen. We loved the making of it and ofcourse it tasted good. The beetroot nacho with hummus topping was a creation by itself. 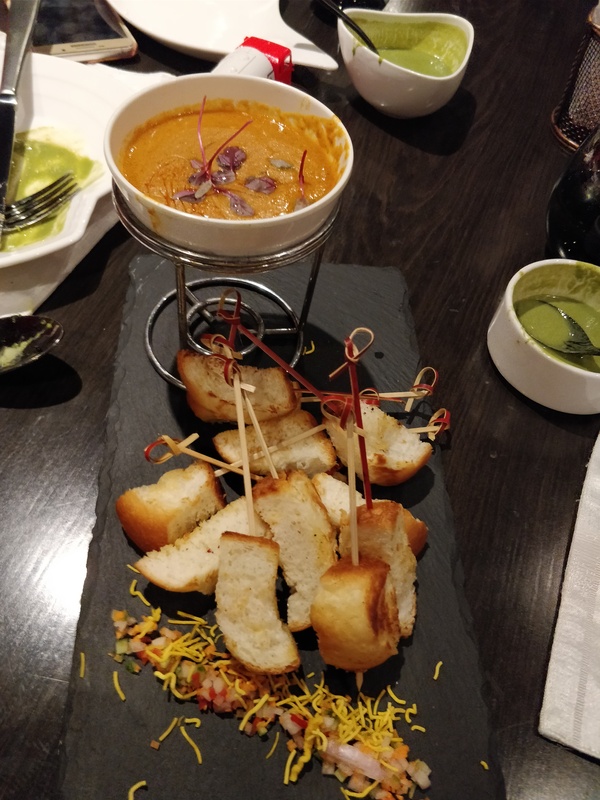 The non-veg starters were super cool. Hyderbadi Haleem fodue was an experience. 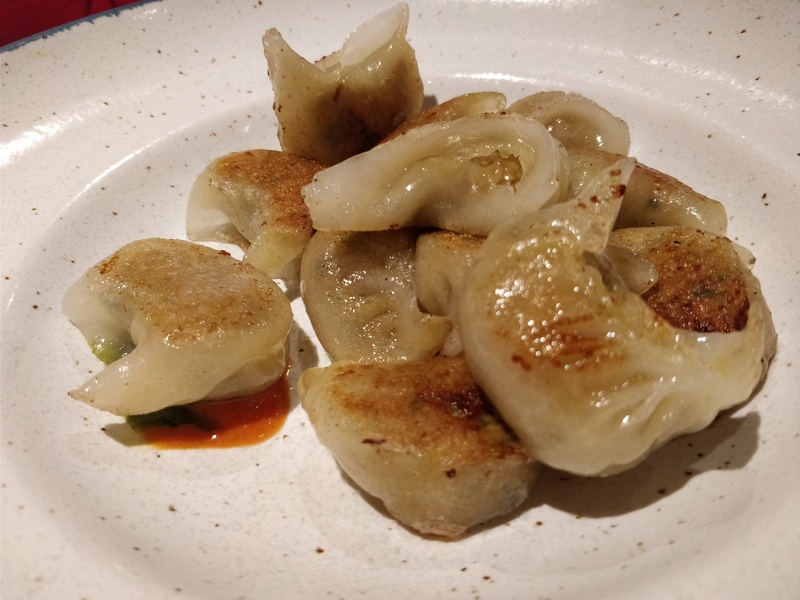 Pan seared smoked chicken dimsum was juicy and light. 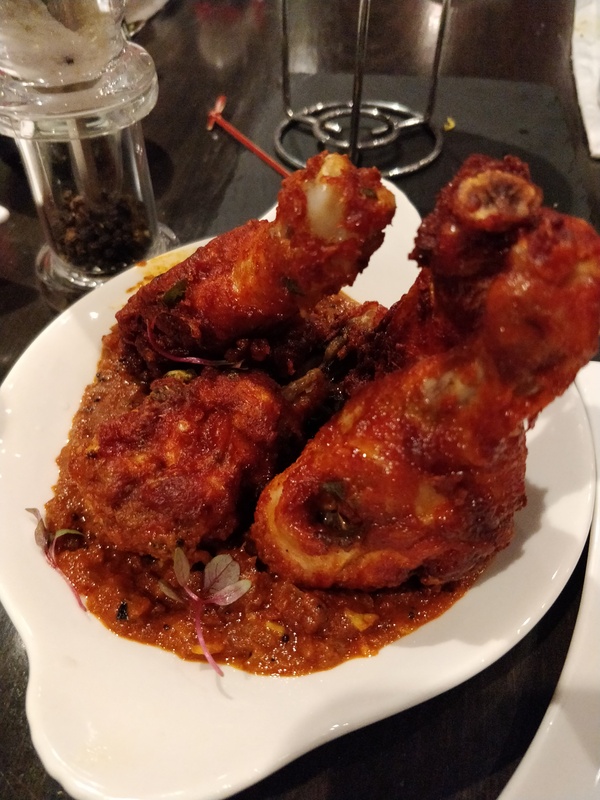 Sardari Jhinga was huge and succulent and cooked to perfection. Tandoori Sarson Machi (fish) the fish was fresh and I really appreciate the fact that it was not the basa fish. Spiced and cooked to perfection. Meen pollichathu was tangy, spicy and yummy. 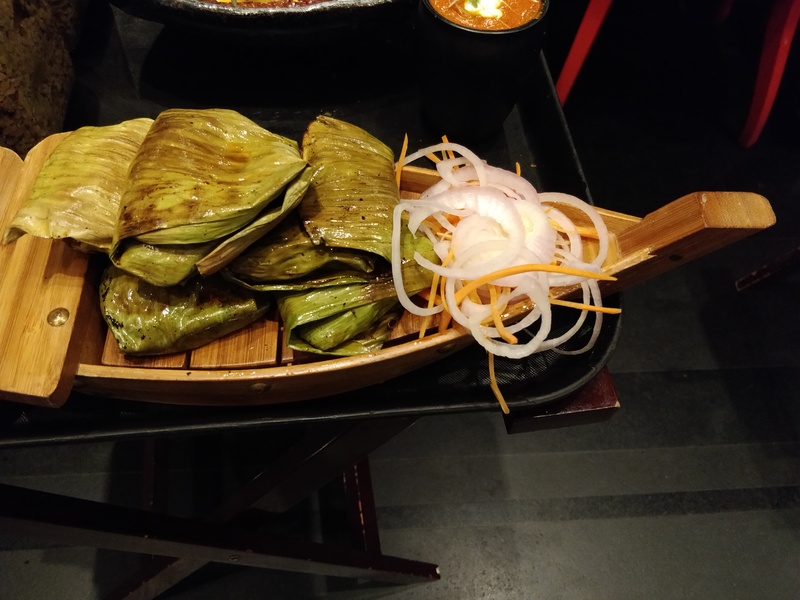 Cooked in banana leaf the flavour were bursting. 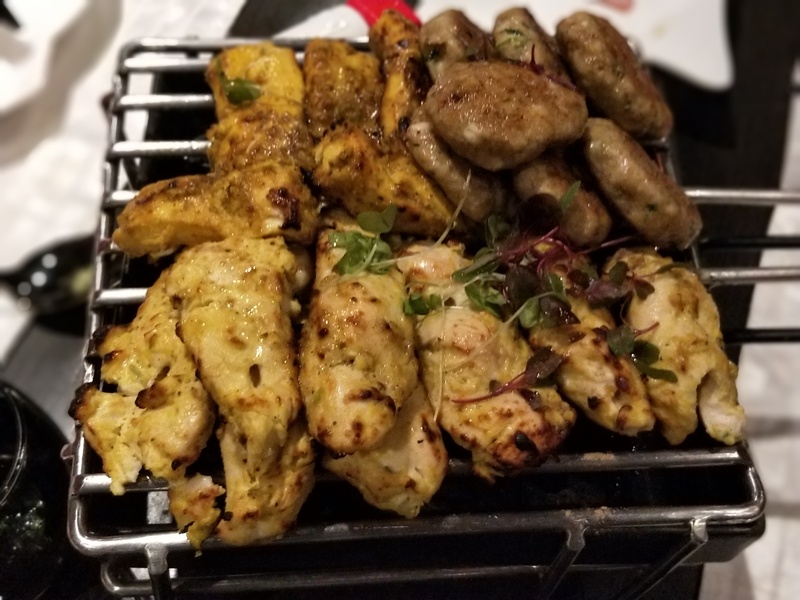 The main course was a mixed platter of chicken, meat and biryani. 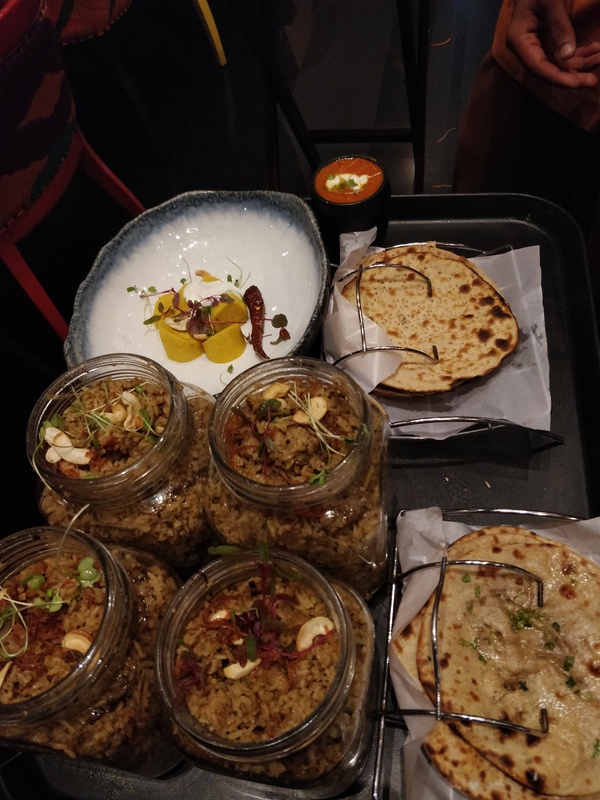 The kurumbadu Biryani was made with samba jeera rice and serve in jars. 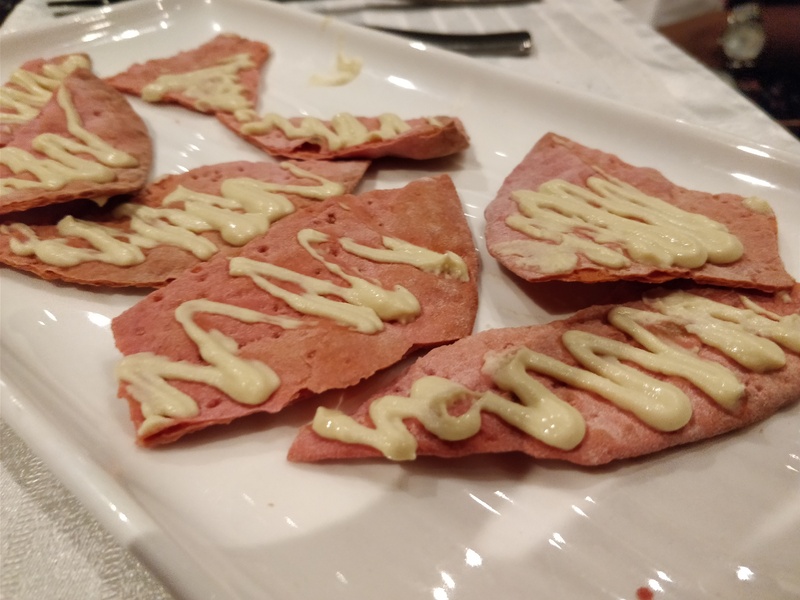 The taste was ok, but presentation was good. 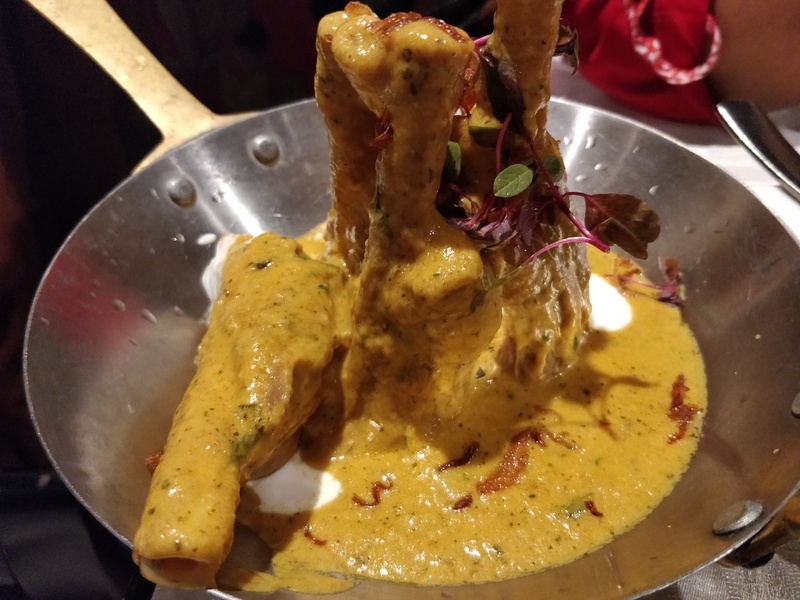 The Mohan Maans was succulent lamb legs served in a bed of milk and spices, the presentation was neat. 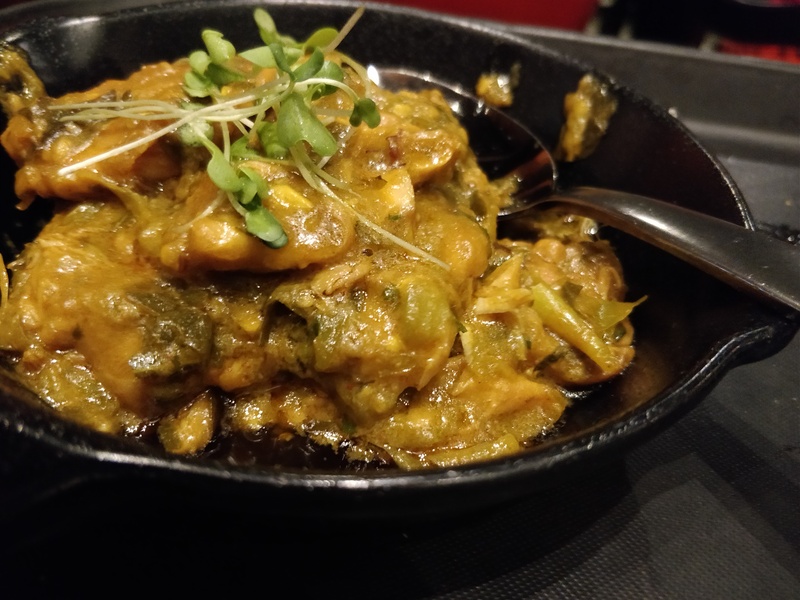 Mysore chilli chicken had a very different and special masala. I personally loved it. The Rotis need a special mention specially the nuts roti. And finally it was time to say Tata bye bye with the best desserts. The live ice cream counter was an instant hit with all of us. It’s an experience not to be missed. 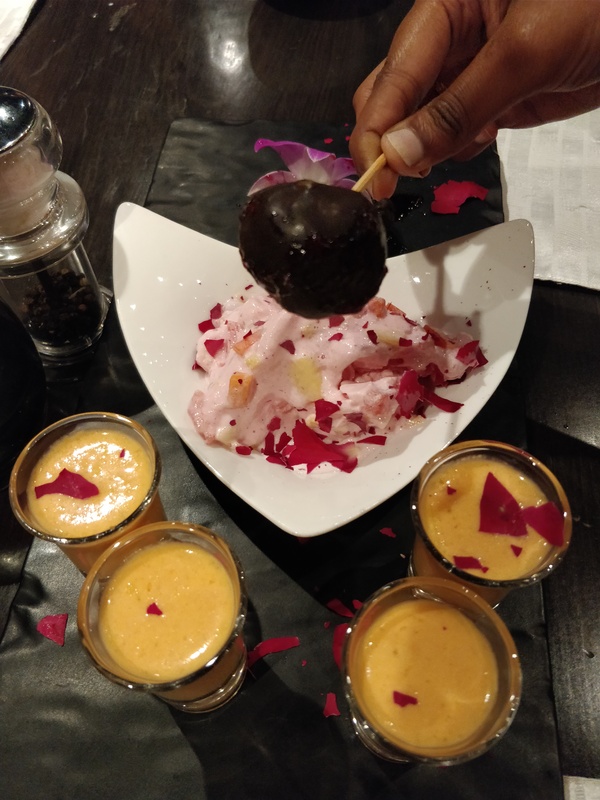 The Jigarthanda shot was mild and just slipped down our mouth. Chocolate rasgulla pop was yummy and funky. 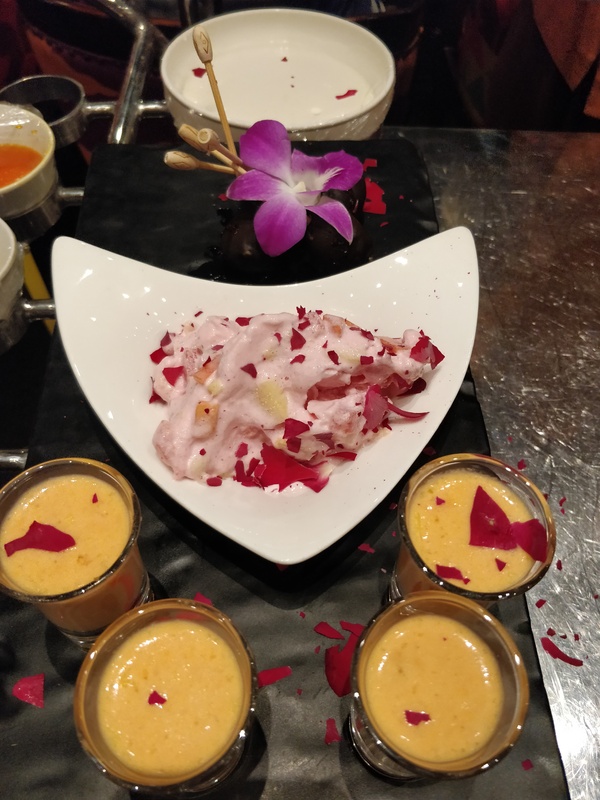 Overall an excellent food trail with fun, wow moments and a journey everyone should enjoy. Don’t miss it for anything.